Norman Dovichi, the Grace-Rupley Professor of Chemistry and Biochemistry, has received the 2013 ANACHEM Award from the Association of Analytical Chemistry (ANACHEM) for his achievements as an analytical chemist and educator. The ANACHEM award honors an outstanding analytical chemist who has made significant contributions to the advancement of analytical chemistry. 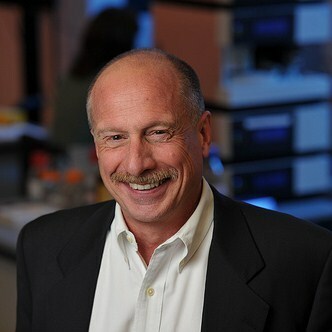 Dovichi, the only chemist named an Unsung Hero of the human genome project by Science in 2001, developed a high-throughput DNA sequencer used for mapping the human genome. His current research focuses on measuring changes in protein content during embryo development, using mass spectrometry technology–how the parts identified in the human genome are assembled. Dovichi, who earned his Ph.D. from the University of Utah in 1980, has earned three awards from the Analytical Division of the American Chemical Society and honors from the Chinese Academy of Sciences, the Canadian Society for Chemistry and many others. The honor will be presented at the National FACSS SciX conference in September, during a special symposium in his honor. Originally published by Gene Stowe at science.nd.edu on June 10, 2013.